The Tech Industry's Asperger Problem: Affliction Or Insult? Somewhere north of 15,000 American children are conservatively believed to be afflicted with Asperger Syndrome, a disorder characterized by obsessive and rigid behavior, poor communication skills, clumsiness, and a lack of empathy and reciprocity. Cases of Asperger's and a related disorder, autism, exploded in Silicon Valley over the past 20 years, according to state-funded outreach workers — an assertion that will come as no shock to users familiar with pedantic, apathetic, tight-lipped and self-serving tech companies. How, exactly, does Asperger's work, and has it had a material impact on how the technology sector relates to its customers? Below, find a quick guide to those questions, and a look at why one of the Valley's most famously infuriating pedants, Facebook CEO Mark Zuckerberg, is rumored to have it. BitTorrent cofounder and president Ashwin Navin is leaving the company. 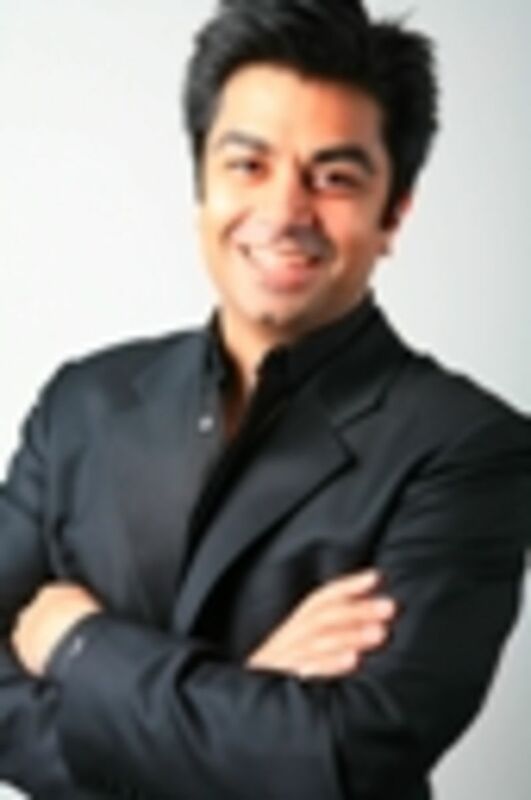 He has plans for a startup incubator in San Francisco's Mission District. Good! That means he'll be screwing up far less consequential companies from here on out. Navin deserves credit for persuading Bram Cohen, the creator of the BitTorrent file-sharing protocol, for building a company around it. But that's about it.Navin wasted years and millions of dollars trying to turn BitTorrent Inc. into a competitor to Apple's iTunes store. He struck splashy deals with Hollywood studios by paying them large upfront guarantees, which depleted BitTorrent's bank account but got Navin into the right parties. Meanwhile, BitTorrent's other line of business, which used file-sharing technologies to deliver content more efficiently for corporate customers, suffered from lack of focus, and more established competitors like Akamai moved in. Sometimes losing a founder is bad for a company. In this case, it's nothing but good. BitTorrent founder Bram Cohen has Asperger's syndrome, a sort of autism lite thought to be common among geeks, BusinessWeek tells us again and again and again. But does he, really? Midway through the article, the writer admits that this fact was too good to check: "Cohen never sought a formal diagnosis." True, Cohen is obnoxious. His coworkers at the file-sharing startup have learned to put up with behavior he attributes to Asperger's — aimless, unchecked nattering and an utter lack of tact. But did anyone stop to ask if he was simply clueless and rude — or, quite possibly, given the violent ravings he once published on the Web, mentally ill? (Hey, Cohen is the one who started tossing around unproved diagnoses.) That's not the only question about Cohen the article left unanswered.We would have asked what, precisely, Cohen does at the company, and why its investors still allow him to visit the office and waste employees' time. If the answer is that they feel sorry for a guy who claims to have a mental condition, but has never even tried to have it diagnosed, then you'll have a sense for their abilities to perform due diligence. BitTorrent recently went through a round of layoffs. Its attempt to sell movies online has failed; its attempt to use file-sharing technologies to serve as a content-distribution network, which speeds up downloads for paying customers, is likewise faltering, as BitTorrent find itself overmatched by much larger, more professional competitors like Akamai Technologies. Cohen may well have Asperger's. He created an interesting technology in BitTorrent. But neither fact entitles him to keep drawing a paycheck from the company he founded. The Swedish copyfighters at The Pirate Bay are working on a new protocol to replace BitTorrent. They feel that Bram Cohen's BitTorrent Inc. has too much influence on BitTorrent's technical direction. And then, too, there's the recent news that Comcast is intentionally slowing BitTorrent file transfers. The new protocol will be designed from the ground up to thwart spammers and antipiracy organizations from harassing users or tracking copyright violators. While the site rose to prominence thanks to BitTorrent, The Pirate Bay is the most influential organization in the file-sharing world. We suspect that other file-sharing sites will line up to support the new peer-to-peer protocol. A preliminary release is planned for next year. Oh, god. For a few months, there have been rumblings of Comcast, the cable and Internet provider, intentionally disrupting BitTorrent traffic. The Associated Press verified the dusruption by trying to download a copy of the King James Bible via BitTorrent over Comcast-connected computers. A devilishly clever move, downloading a public-domain work unprotected by copyright, and suggesting that Comcast opposes the distribution of the Holy Book. Bram Cohen, the founder of file-sharing software startup BitTorrent, has stepped down as chief executive and will assume the role of chief scientist. Why did the inventor of today's most popular peer-to-peer file sharing technology remove himself? Was it because, as many had predicted, inventor founders do not lead their own companies successfully through growth phases? Or did BitTorrent's investors get wind of his frighteningly violent body of writings? Glossy music magazine Blender has named Apple CEO Steve Jobs to the top of the Powergeek 25, its list of the top 25 people who influence online music. We don't object to the content of the list, but we do object to the title. His Steveness is no geek! And neither are flashy MySpace founders Chris DeWolfe and Tom Anderson nor suave Youtubers Chad Hurley and Steve Chen. 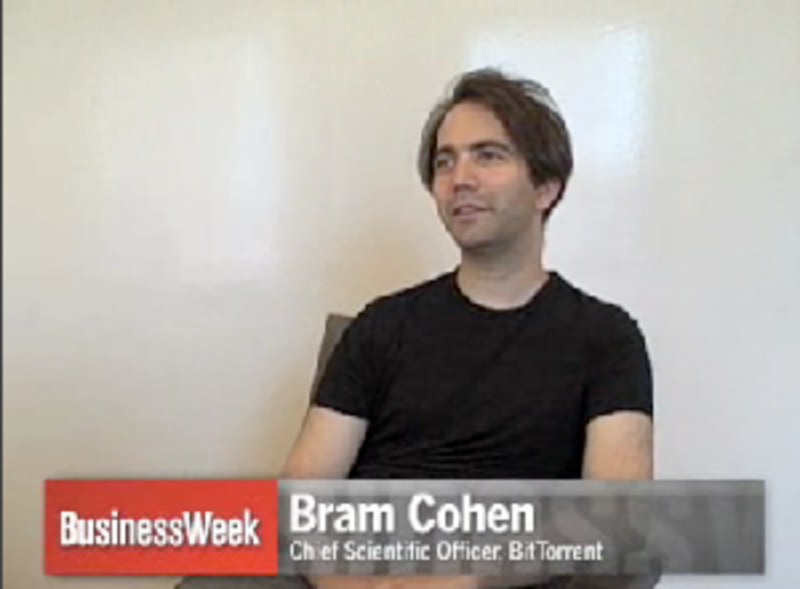 The only recognizable geek on there is Bram Cohen of BitTorrent, at number 19. The rest are either techies, hipsters, or businesspeople. Someone at Blender should read up on their definitions. Last night, Digg founder Kevin Rose and pals celebrated the relaunch of his Revision 3 online TV network with a party at Mighty, a San Fran venue currently sporting sculptures of flying underwear (really. Don't know why). Scott Beale provides the photos below. Budding story: Is BitTorrent headed for a patent fight? Sometimes you can see a story coming a financial quarter away. Last week, a tipster dropped some gossip about VC firm Doll Capital Management, headed by veteran investor Dixon Doll. Craig (you know, Craigslist Craig) just posted the first known photo of Shawn Fanning and Bram Cohen together. As Craig says on his blog, the Napster founder and BitTorrent founder had never met until last night's Wired Rave Awards. Craig captured the historic meeting on his Treo. Om Malik scoops a rift between the Cohen brothers (not the cool Big Lebowski ones. That's the Coen brothers. The Cohens are the ones who let you steal The Big Lebowski).